Visiting Angels® Delray Beach FL is pleased to provide respite care referrals for local families. When family members are the primary source of care for elderly or disabled adults, they can quickly end up feeling overwhelmed. Professional care can help caregivers who are feeling overburdened or who are unavailable for other reasons. Our care can help seniors in a variety of circumstances, including those in need of memory care, personal care, transitional care, and more. 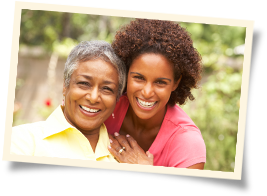 Visiting Angels Delray Beach offers referrals for compassionate respite care services. When family caregivers are striving to balance their personal lives and caring for a loved one in need, they run the risk of caregiver burnout. Caregiver burnout can lead to feelings of depression, anxiety, fatigue, and stress. Our compassionate caregivers support seniors and their loved ones by providing peace of mind. Our care services from the Visiting Angels Delray Beach referral network are able to meet the individual needs of seniors. Caregivers can assist with a broad range of services including help with daily tasks such as light housekeeping, meal preparation, and running errands. Flexible care is tailored to your loved one's needs as well as their scheduling preferences. Temporary Care. Temporary care provides short-term support to seniors when their primary caregiver is away on vacation or unable to provide assistance for other reasons. Part-Time Care. Part-time care offers assistance to seniors and disabled adults for a few hours per week. This allows family caregivers to get a regularly scheduled break. Support Care. Supportive care is beneficial for seniors and their loved ones, as it provides care and assistance alongside family caregivers. Senior care providers can help lighten the load for family caregivers. Visiting Angels Delray Beach offers respite care referrals to families throughout Boca Raton, Boynton Beach, Delray Beach, Coconut Creek, Coral Springs, Deerfield Beach, Wellington, Lake Worth, Parkland, Lighthouse Point, Margate, Palm Beach, Royal Palm Beach, and the surrounding areas. We provide free in-home care consultations to help local families get the care and support they need. If you are the primary caregiver for an elderly or disabled loved one, you don't have to bear the burden alone. Call Visiting Angels Delray Beach today for a respite care referral.